MIFEE’s pioneers, Medco has grown from being a oil and gas company into a major land grabber. With a wood-chip mill already built, Medco also has sugar, rice and maybe sorghum projects in the pipeline and has already faced the anger of local people. Company Description: The Medco group is the business conglomerate of the Panigoro family and comprises Medco Energi Internasional, Medco Agro, and Bank Saudara amongst other companies. Medco Energi is Indonesia’s biggest private oil and gas company. Its oil and gas operations can be found in Sumatra, Java, Sulawesi and Kalimantan in Indonesia, and it also has exploration licences in Libya, Cambodia, Yemen, Tunisia and the United States. Medco bosses have frequently mentioned that one of their strategies is to develop their strength in the agribusiness sector because they believe that oil and gas will not be profitable for more than another decade.1 They already operate several oil palm plantations in Sumatra and a plant in Lampung for extracting bioethanol from cassava. 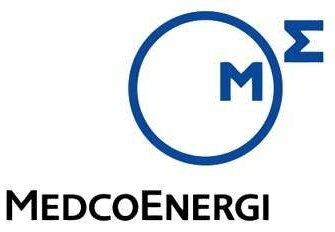 Medco Energi Internasional is listed on the Jakarta stock exchange. Japan’s Mitsubishi Corporation bought a 39.4% stake in Encore Energy Pte Ltd, a holding company registered in Singapore which controls 50.7% of Medco Energi Internasional Tbk.4 When that deal was arranged, the two companies also signed a ‘strategic alliance agreement’ where the companies agreed to co-operate to strengthen their respective presence in certain business sectors, including bio-ethanol. Medco Agro is a privately owned company and has oil-palm plantations in Sumatra and Kalimantan. The Medco Foundation takes charge of Medco’s corporate social responsibility initiatives. Medco’s interests in Merauke are in three principle areas: wood products, sugar-cane for bio-ethanol and promotion of MIFEE for other crops. The factory was initially planned to produce pulp, but NGO Conservation International claim to have persuaded Medco to ‘downgrade’ their factory to produce wood chips and pellets instead.7 Korean Company LG International joined in on the pellet plan, investing $25 million for a 25% share in a joint venture company, PT Metra Duta Lestari.8 Medco owns 66% of that company while another Korean company, Y-Han holdings, has the remaining 9%. Woodchips would be used for pulp and the wood pellets exported as biomass fuel. Stories from the Ground: Communities areas affected by Medco’s tree plantations and factory, including in Zanegi, Kaliki and Boepe kampungs have experienced how Medco has made many promises of new facilities which it has not built, deceived people into handing over their ancestral land and given pitifully low levels of compensation for the use of their land. Villagers from kampung Sanggase engaged Medco in a major dispute throughout 2011 when they demanded 65 billion Rupiah in compensation or they would shut the factory down. Details of all these disputes are given in the ‘Stories from Villages’ section. As yet no reports have emerged of activity on the ground or conflict with local people as a result of Medco’s sugar or rice operations. 5. http://www.meraukepos.com/2009/08/arifin-panigoro-dikukuhkan-jadi-anak.html The US ambassador and Suharto-era Agriculture minister Sarwono Kusumaatmadja were witnesses to the ceremony. 6. It appears that PT Selaras Inti Semesta is under Medco Agro rather than Medco Energi, although neither company claims in in their reports or propaganda. See for example http://www.dephut.go.id/files/IUPHHK_HT_2009.pdf which lists PT Selaras Inti Semesta as being owned by PT Api Metra Palma, the holding company for Medco Agro. 10. The link to this information (http://ditjenbun.deptan.go.id/budtansim/index.php?option=com_content&view=article&id=63:pertemuan-koordinasi-dan-pemantapan-rencana-pembangunan-perkebunan-tebu-di-merauke&catid=8:inventaris-berita&Itemid=30) was broken when we went to press in 2012. At that time the information was obtained through Google’s cache. PT Kasuari Komoditas is linked to Medco by information picked up on Twitter, but the veracity has not been confirmed.